The 20-metre-tall, 1.4-meter-diameter Kuaizhou-1A solid-fuelled rocket is capable of lifting 200 kg of payload to a 700 km Sun-synchronous orbit. It will launch a small satellite named Centispace-1-S1, about which very little is known. The mission will mark the second launch for the missile-derived launch vehicle, which had its maiden flight in January 2017. The launch will be China's 26th orbital mission of 2018, and the first not carried out by the main government contractor CASC, which is aiming for 35 launches this year. According to reports from the ongoing fourth China International Commercial Aerospace Forum in Wuhan, Hubei Province, Expace is planning at least eight commercial launches with the Kuaizhou-1A before the end of 2019. A second Kuaizhou-1A launch is expected by the end of the year from Jiuquan, with six launches scheduled - including one for a foreign client, China Daily reported Expace chairperson Zhang Di as saying. "The rocket is popular in the commercial launch market. We have made production schedules for at least 19 Kuaizhou-1As," Zhang said. Expace had last year announced plans to launch four Kuaizhou-1A rockets within one week during 2018, partially to "world record for launch frequency", while the maiden flight of the heavier Kuaizhou-11 launch vehicle was expected to carry six satellites. It is unclear if the latter is scheduled to take place this year. Its first flight, in January 2017, carried a Jilin-1 video satellite for Chang Guang Satellite Technology Co. Ltd. (CGST), a nominally private company based in northeast China seeking to construct a commercial remote sensing constellation, along with two smaller secondary payloads for universities. Both CGST and Expace were founded after a 2014 Chinese government decision to open the space sector to private capital, especially in the arenas of launch and small satellites. One of the Jilin-1 video satellites in orbit last week captured incredible video footage of a suborbital launch by emerging private actor OneSpace at Jiuquan, where the Kuaizhou-1A will also launch. Meanwhile Landspace, a Beijing-based launch startup, today dispatched its Zhuque-1 three-stage solid rocket to Jiuquan after final assessments at a factory in Xi'an. Launch is expected near the end of October. The launch aims to be the first orbital launch of a privately-developed Chinese launch vehicle. 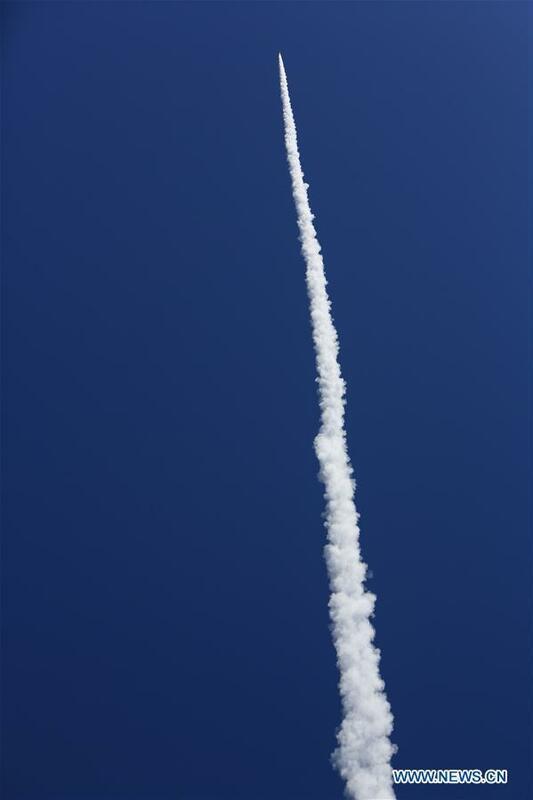 JIUQUAN, Sept. 29 (Xinhua) -- China launched its Centispace-1-s1 satellite on a Kuaizhou-1A rocket from Jiuquan Satellite Launch Center in northwest China at 12:13 p.m. Saturday. This is the second commercial launch by the Kuaizhou-1A rocket. 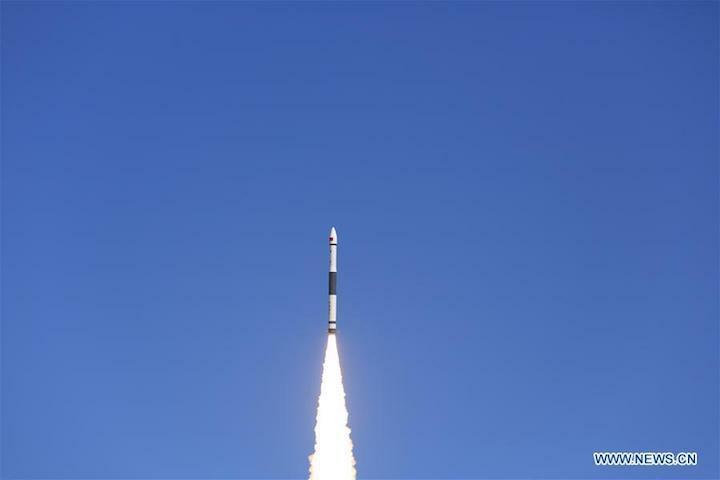 The first launch in January 2017 sent three satellites into space. The Kuaizhou-1A was developed by a rocket technology company under the China Aerospace Science and Industry Corporation (CASIC). It is a low-cost solid-fuel carrier rocket with high reliability and a short preparation period, designed to launch low-orbit satellites weighing under 300 kg. The Centispace-1-s1 was developed by Innovation Academy for Microsatellites of the Chinese Academy of Sciences. It is a technology experiment satellite for the low-orbit navigation enhancement system being developed by Beijing Future Navigation Technology Co. Ltd.
Commercial space company Expace sent a small, experimental satellite into orbit with a Kuaizhou-1A launch vehicle on Saturday, marking China's 26th orbital launch of 2018. The Kuaizhou-1A solid-fuelled rocket lifted off from the Jiuquan Satellite Launch Centre in the Gobi Desert at 04:13 universal time (12:13 local), with authorities declaring success within the hour. The 20-metre-tall, 1.4-meter-diameter Kuaizhou-1A solid-fuelled rocket has a liftoff mass of around 30 metric tonnes and is capable of lifting 200 kg of payload to a 700 km Sun-synchronous orbit. Aboard was the Centispace-1-S1 small, experimental satellite which, according to a press release, is a pilot satellite for a low Earth orbit navigation and positioning enhancement system being developed by Beijing Future Navigation Technology Co., Ltd., with satellite having been developed by the Institute of Micro-satellite Innovation under the Chinese Academy of Sciences (CAS). The mission was the second launch for the missile-derived launch vehicle, which had its maiden flight in January 2017. Saturday's launch was the 26th of the year for China, and the first not performed by the China Aerospace Science and Technology Corporation (CASC), the main contractor for the Chinese space programme. Expace was jointly established in February 2016 by China Aerospace Science and Industry Corporation (CASIC), a state-owned defence contractor and major missile maker, and the China Sanjiang Space Group, making the company only nominally private. The Kuaizhou-1A was originally developed under CASIC and derived from missile technology. A second Kuaizhou-1A launch is expected by the end of the year from Jiuquan, with six further launches scheduled - including one for a foreign client - for 2019. Chinese commercial space companies have emerged following a 2014 Chinese government decision to open the space sector to private capital, especially in the arenas of launch and small satellites. Beijing-based startup Landspace on Thursday sent its first rocket, the Zhuque-1 (vermillion bird-1) three-stage solid rocket, on its way from a facility in Xi'an, north China, to the Jiuquan Satellite Launch Centre. Zhuque-1 (see main image) will be the first attempt of a privately-developed Chinese rocket to make it into orbit and mark a significant moment for the nascent commercial space sector in China.